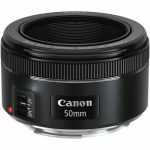 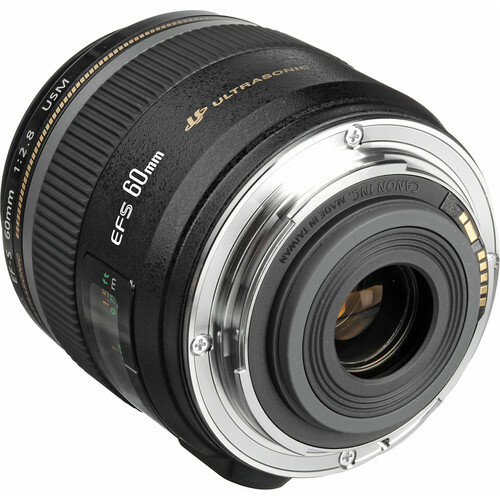 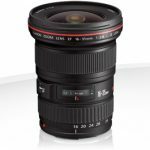 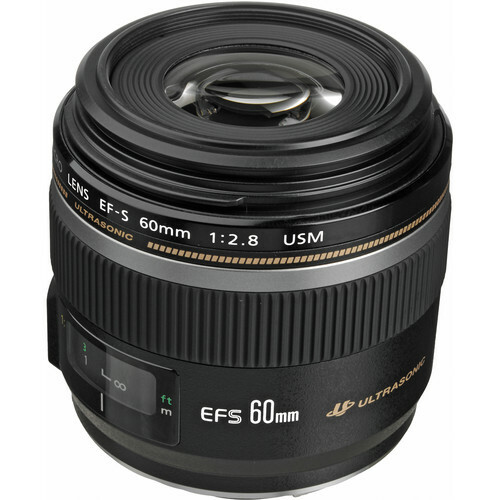 The EF-S 60mm f/2.8 Macro USM Lens from Canon is a telephoto prime lens and the first true macro lens of their EF-S series, made specifically for “APS-C” format Canon SLR cameras. 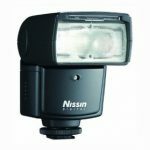 It produces 1:1 magnification for extremely detailed close-up images and with a 35mm focal length equivalence of 96mm, it is also ideal for medium telephoto applications including portraiture. 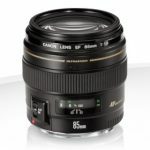 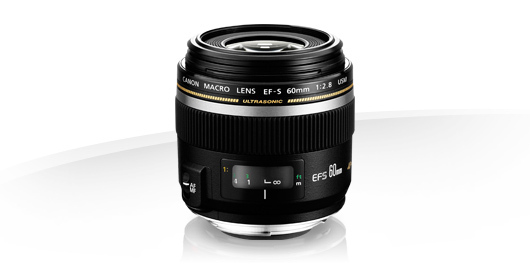 Its maximum aperture of f/2.8 is effective in low light and offers shallow depth of field control.